Q: How grounded in reality, from your experience, is The Devil Inside? Q: What kind of person can become a practicing exorcist? Q: What kind of preparation do you undertake before conducting an exorcism? Q: How exactly does a person become possessed? Q: What does a demonic presence need from the possession of a human body? Q: Have you ever come to any physical harm conducting an exorcism? 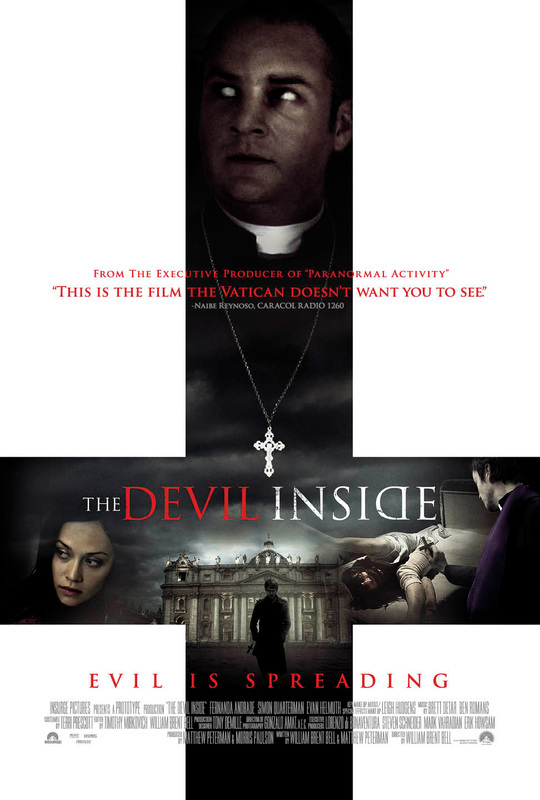 Q: In The Devil Inside, there is a scene at the Vatican where students are being tutored on the subject of exorcism, is this common in reality? Q: In the movie we are shown what appears to be ‘demonic transference’, which you have already briefly touched upon. Is that something you’ve actually experienced or just Hollywood fiction? Q: How do you feel Hollywood has portrayed the subject of exorcism in the past? THE DEVIL INSIDE - March 1st 2012. Only in Cinemas.